As a Boy Scout, Robert F. Rohde, got Piper Cub ride and went on to pilot C-47s “over the Hump” in Asia. At age 12, when Robert F. Rohde was a Boy Scout, he was at a troop meeting in Riverside carving an airplane out of a block of wood when Scoutmaster Francis Ford walked up to him and asked if he’d like to go up in an airplane. 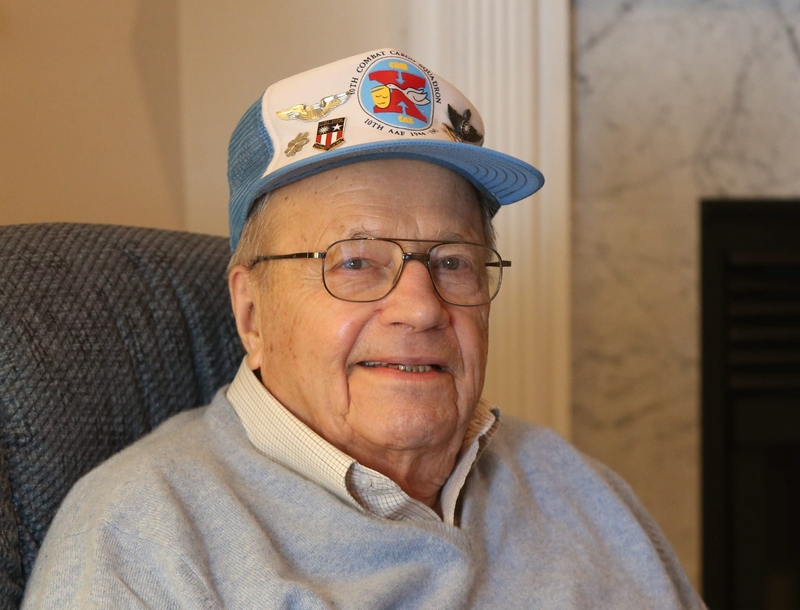 After he graduated from Riverside High School in 1941, Rohde enlisted in the Civilian Air Patrol, the training unit for what was then the Army Air Corps, and took up residence on the second floor of the University of Buffalo’s Lockwood Memorial Library, a makeshift barracks. After completing his courses, he was activated and sent to Denton, Texas, where he trained to become a glider pilot. But due to a glut of glider pilots, he soon found himself at a base in Stuttgart, Ark., where he pulled shifts working in the base kitchen and digging a swimming pool for officers. The same night, he was on a train to Waco, Texas, where he learned the skills of a liaison pilot. “Our job was to fly a Piper Cub and perform reconnaissance duty for combat troops, letting them know where the enemy was situated,” says Rohde, who was promoted to staff sergeant. But before he was sent overseas, he made a case with the battalion commander at Will Rogers Field in Oklahoma to let him train with the big boys, the pilots who could fly twin- and four-engine airplanes. At 21 years old and with his brand-new twin-engine C-47 Skytrain cargo plane, he was soon on his way to the China-Burma-India Theater, making a pit stop in Cairo, where he saw the Sphinx and rode a camel. In India, he toured the Taj Mahal, but what he would see the most of in that far-flung corner of the world were the Himalayan Mountains, while he was going “over the Hump” to resupply troops in Burma who were battling the Japanese. It was exhilarating and dangerous work, with the Japanese often shooting at the unarmed cargo planes as they flew low to make the drops. The weather, he says, was the biggest challenge. “In monsoon season, we’d fly through terrible rain, thunderstorms, ice storms and fog. I had a surface ceiling of 14,000 feet, and when the plane was loaded, it was lower than that,” Rohde recalls. To stay alive, pilots had to be imaginative, Rohde says, remembering how one of his buddies got the better of a Japanese Zero fighter plane. Rohde also proudly recalled helping a famed figure who hailed from South Buffalo. “We supplied Maj. Gen. William ‘Wild Bill’ Donovan’s units with supplies about 100 to 150 miles behind enemy lines in Burma where they raised hell with the enemy,” Rohde says, remembering that Donovan had established the Office of Strategic Services, which eventually became the CIA. After the war, Rohde knew he wanted to keep a hand in flying and joined the Air National Guard at Niagara Falls Air Reserve Station and was twice called up to active duty stateside during the Korean War and the Berlin Crisis, when Soviet leaders in 1958 demanded that the United States and the other allies vacate West Berlin. In 1983, he retired from the Guard. Returning to civilian life, he began with Buffalo Savings Bank in 1948 as a file clerk. “It was the lowest job, but the bank sent me to school and I worked my way up the ladder and – would you believe it? – I retired as the bank’s corporate secretary,” Rohde says. He and his wife, Antoinette Tamila Rohde, raised five children, all of whom graduated from college with master’s degrees. And on April 30, the former military officer and bank executive and his bride will celebrate their 65th wedding anniversary.